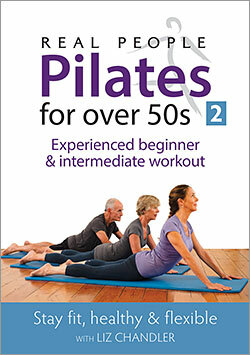 Please click on an image below to go to the page for each video where the content is explained in more detail and you can see video clips from each section. 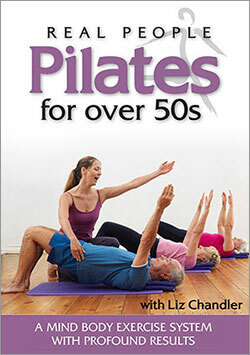 The Over 50s DVDs exercise content has been specificaly designed with that age range in mind but also is suitable for beginners of all ages, people who suffer from back pain or newbees. 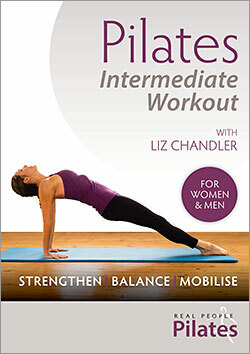 The Pilates Intermediate Workout with Liz is intended for people who have been practicing Pilates for a while, have a good understanding of the Pilates principles and who do not have any mobility issues or pain.